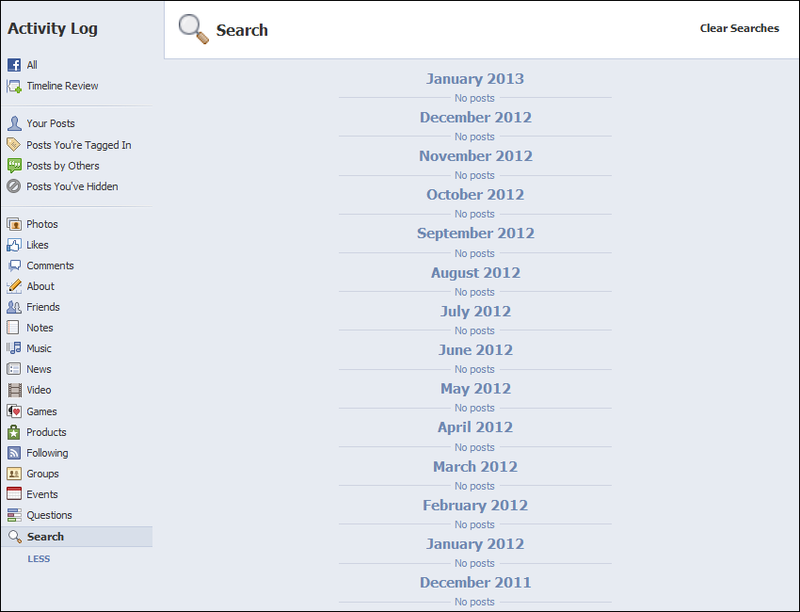 Description : I'm testing out Facebook's new Graph Search today. Let's try something a bit more personal. 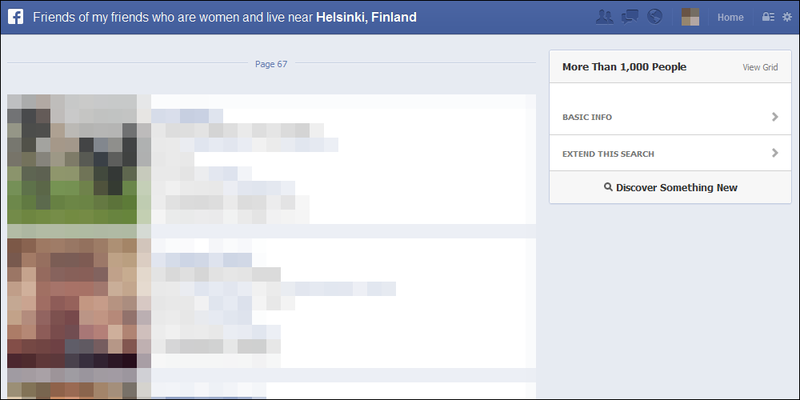 Graph Search: Friends of my friends who are single women and live near Helsinki, Finland and are older than 30 and younger than 39. Result: No Results. Sorry, we couldn't find any results for this search. No results. And in fact, there are only ten women that actively listed themselves as "single", and only two of those listed their age. Conclusion? Facebook privacy settings aren't all that mysterious for the average user. However&hellip; what about my own Search history in my Activity Log? Facebook logs searches. To see yours, go to your Timeline, click on the Activity Log button, click More, and then click Search. It's way down at the bottom of the list (almost as if Facebook doesn't want you to find it). You can purge your search history using the "Clear Searches" link in the upper right corner.